This is the year Ryan Tannehill has to show he can improve, namely by cutting down on interceptions thrown and sacks taken. Yes, adding Branden Albert to the offensive line will help, but the fact remains that some of the league-leading 58 sacks given up by the Dolphins last season were Tannehill's fault; it looked like he held the ball too long at times. Fortunately for the Dolphins, I think Tannehill has the capacity to grow as a quarterback and take care of these issues. Miami also will need to get more from receiver Mike Wallace, who managed just 12.7 yards per catch -- not commensurate with the big-money contract the team gave him last offseason. Of course, even with an offense that ranked 27th in the NFL in 2013, Miami still managed to hang in the playoff hunt late into the season. 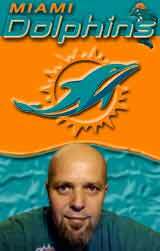 In 2014, we can expect the Dolphins' attack to bring much more pizazz, thanks to their secret weapon: new coordinator Bill Lazor. He's a sharp up-and-comer who can have a transformative effect on this squad. My opinion on the team changes like the wind. The offense last year was capable enough to help the team to 8 wins. Lazor has already pointed out areas of improvement Tannehill needs to achieve. He's recognized that lining Wallace up on the right side every play is a waste. And it appears he might actually try to use his tight ends to create mismatches. Dallas Thomas has shown up to camp in much better shape and with a good attitude (Per O Kelly). I could keep going on...point is there are a lot of little things that create optimism. The defense is going to be the bigger key for this team. Is Earl Mitchell capable? Is the LB reorganization going to work? Can Finnegan regain his old form? Is Taylor ready? Is Jordan ready (he appears to be based on practice notes)? Which Reshad Jones are we going to see? If Tannehill blossoms under Lazor (and I have much more confidence that will happen now than a month or two ago) and the defense doesn't lose a step from last year I definitely think this is a 10 win team. Even if the ground game doesn't improve too much, it sounds like Lazor is going to set up the passing game for increased success. Again, the question is can the defense hold? If the Dolphins can improve the OL and LB play, there is no reason why we cann't be 10-6. Tannehill should do better and so should Mike Wallace. I just can't see this team not improving. If the Dolphins can improve the OL and LB play, there is no reason we can be 10-6. Tannehill should do better and so should Mike Wallace. I just can't see this team not improving. The only way they won't improve is if they have a tough start and give up on their coach. Its why a lot of opinions suggest this could be a boom or bust season. I know I sound like a broken record but that defense has to hold. Even if the offense improves I'm not sure it will be good enough to win shootouts. But you're right, if that OL gels then the offense could be legit. Just imagine what the ability to run and use play action could do. Even if the offense improves I'm not sure it will be good enough to win shootouts. The word "shootout" and "win" in regards to Miami, is like an oxymoron. I can't remember this much positive news coming from OTA's in recent history. An offense that looks dangerous. Wallace looking like his old self. Jordan primed to add to a 3-headed pass rushing monster. Louis Delmas looking rejuvenated. The middle linebacker position looks much better. The offensive line is more talented now. Looks like good corner depth. Offense being creative, actually using screen plays. We have as much talent as almost any team now. The middle linebacker position looks much better. The offensive line is more talented now. Those two are in the Doubting Thomas section for me. I'll believe it when I see it with my own eyes. I would unfortunately have to disagree, we are world beaters every year at this time, this is the same every year, and as is proven year in and year out, OTAs mean nothing, as Dave said, I'll believe it when I see it. Relax. They haven't even put on the pads yet.